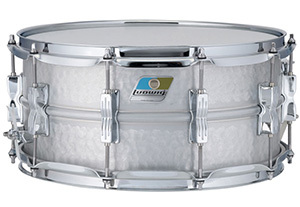 Acrolite Snare Drums Once perceived as a student level snare drum, the sound of the Ludwig Acrolite Snare leaves no question that it should simply be considered a tremendous all-around snare drum at any level. 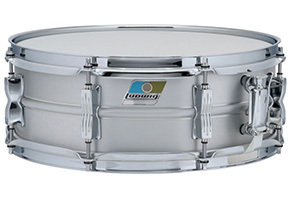 The seamless beaded aluminum shell reflects Ludwig excellence in quality. Acrolite Snare Drums are available in 5x14", 6.5x14" classic and hammered aluminum.